Mount Etna wines are now getting easier to find on retailer shelves, and not just specialist retailers. For those who are looking for something different from the usual fruity merlot or juicy malbecs, it is time to meet Nerello – in this instance, Nerello Mascalese (80%) and Nerello Cappuccia. Two Italian locals which make up this Etna red blend. Grown at 700 metres on the side of that volcano, this red is ripely plump while still retaining its elegance. There is a definite whiff of smoky ironstone minerality to the blackcurrants, red plums fruit. And then the nutmeg spice comes through, the result of maturing for 12 months in Slovenian oak. It is a wine with faceted detail supported by some plush tannins that give the Le Sabbie a muscular finish. 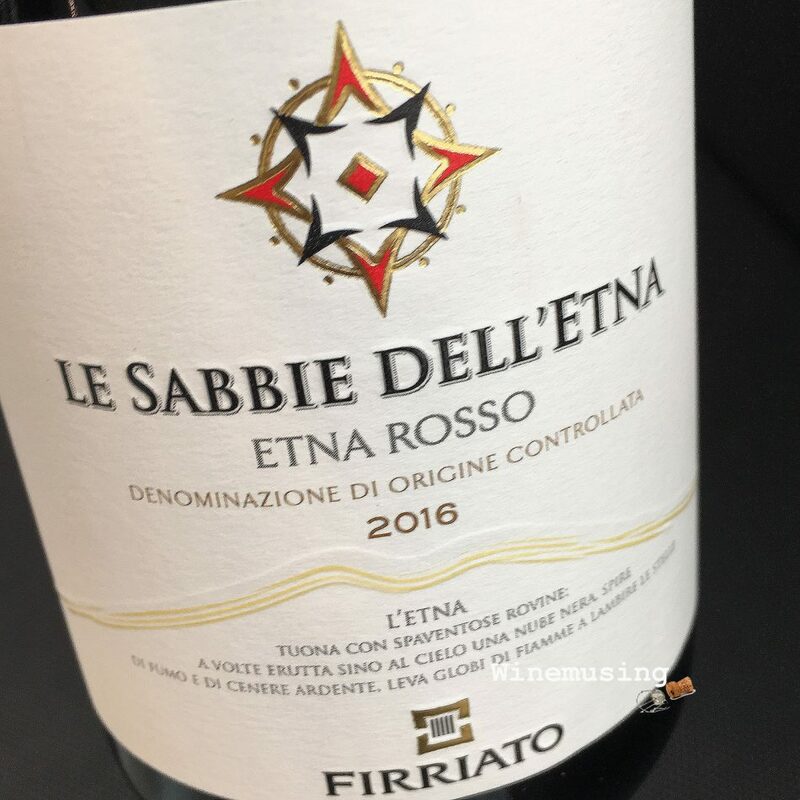 It is a wine that goes very well with a tasty tomato based pasta or since you are trying something a bit different, go the whole hog and mix it up with wild boar sausages with wasabi mash. Needs food: no, but it is a good wine.